Initiation and development of scientific plant breeding in Russia more than a hundred years ago was in many respects connected with activities of the Bureau of Applied Botany of the Scientific Committee at the Ministry of Agriculture. The Bureau was set up at the initiative of the Director of the St.-Petersburg Botanical Garden, A.F. Batalin, and was the first establishment in the country focusing its research activities on agricultural plants themselves, instead of condition their cultivation. According to the Statute authorised by the Minister of Agriculture and State Properties on October 23, 1894, the Bureau was charged with the following tasks: identification of cultivated and wild growing (both useful and weedy) kinds of plants and their diseases; botanical and phytopathological (also chemophysiological, whenever possible) study of cultivated plant varieties and research on measures of control over their diseases; gathering of information about and assistance with introducing into culture of new plants (including those recommended abroad), and management of experiments on their acclimatisation in the conditions of the Russian Empire. Due to a series of unfavourable circumstances (i.e. early death of the first Head, absence of funds for premises rent and employing at least one more person), the Bureau’s work in the first years of its existence was reduced extremely to advisory functions, e.g. reviewing of books, manuscripts and various projects submitted to the Scientific Committee which were within the Bureau’s competence. Thus, of the three Bureau’s branches envisaged by the Statute, namely Reference, Scientific, and Acclimatizational, only the Reference branch was functional. The scientific work began when I.P.Borodin (1899-1904) was appointed the Head of the Bureau. I.P.Borodin, a professor at the Forestry Institute and Chairman of the Botanical branch of the St.Petersburg Society of Naturalists, did not have an opportunity to entirely devote himself to research on applied botany, and in 1900 he invited R.E.Regel, the first paid employee, to work at the Bureau. Soon Regel was offered to engage in comparative study of the barley forms cultivated in Russia. In order to receive materials necessary for the research, in 1901-1902 requests were dispatched throughout the Russian Empire to farm owners, municipal, educational and experimental establishments about supplying the Bureau with samples of mainly local barleys in the form of grain and ears, and of related information, too. In reply to these requests, in 1901-1906 the Bureau received over 1000 samples of barley. Also, of great interest in terms of richness in forms were the collections received from W.Saunders (Central Experiment Station in Ottawa, Canada) and A.Atterberg (Svalof, Sweden). Studies of inheritance of the commercially valuable characters of the barley forms were carried out under contrasting conditions. Initially, these sowings were started at R.Regel’s private estate in the Caucasus, where plots were placed at different altitudes. As a result, the barley collection arranged by R.Regel on the basis of identified major inherited commercial characters received the highest award ("Diplome d’Honneur") at the International Exhibition in Milan in 1906. In 1905 R.Regel was promoted Head of the Bureau, and the rest of his life has been devoted to development and expansion of the Bureau’s scientific activities. Robert Regel, the son of Edward Regel (1815-1892, a prominent in Russia botanist and horticulturist, the Head of the St.Petersburg Botanical Garden since 1875) after graduating from the St.Petersburg University (1888) and the Higher School of Horticulture in Potsdam (1890) worked at first at the St.Petersburg Botanical Garden, and then at the St.Petersburg University as a part-time lecturer reading a course on application of botany in horticulture. He got his Master’s degree in 1909 after defending at the Yuryev (now Tartu) University his thesis entitled "Smooth-Awned Barleys". His thesis was the first one in Russia in the sphere of applied botany, and later was re-worked into a monograph. The elaborated by Regel system of botanical description of the cultivated plants laid bases for the monographic study of the crops most widely spread in Russia. This work was closely linked to practical breeding, the objective of which had been formulated as follows: "selection or development for cultivation of such plants which would be most adapted to local conditions, show due quality of the product they are cultivated for, and have appropriate yielding ability". Proceeding from the notion of applied botany as "a botany specializing on the cultivated, useful, and also weedy plants", Regel had a strong belief that the Bureau shall concentrate its efforts on the identification of constant morphological characters and properties of biological races and varieties of the cultivated plants instead of the commercial cultivars. This concept was reflected in the new Bureau’s Statute adopted in 1907. Also, the items concerning fungous diseases were omitted from the Statute, since an independent Bureau for Mycology and Phytopathology was set up. Additional funding meant for the expansion of the Bureau’s activities made it possible to employ new people with degrees in Natural History and Agronomy. They were committed with specialised research on wheats, oats, and weedy grasses of the Russian Empire. By 1914, the scope of items the Bureau had been dealing with was augmented with meadow grasses, legumes, oil-bearing (sunflower, in the first place), and small-grain crops. The Bureau’s collections kept growing, mainly at the expense of collecting missions and receipt of materials from various farms. Comparative botanical study of the accessions was carried out at experimental plots located in major geobotanical zones of the Russian Empire, i.e. on black soils of the Steppe Belt, in the Forest and Semi-desert belts. At first, these sowings were made in private estates, but in 1911 the Bureau was provided with several separate plots of governmental land. In 1908 the Bureau initiated the publication of its Works which contained, along with papers of the Bureau’s researchers, the most interesting ones in the sphere of applied botany by independent national and foreign authors. The published papers were supplied with extensive summaries in a foreign language, and thanks to this very soon the "Works" became known abroad. Beginning from 1912 funding of the Bureau’s works was earmarked in compliance with budget estimates; compared with 1907, the budget was 40 times as large (from 2.5 to 100 thousand roubles). By that time the Bureau’s staff consisted of 16 members, seven of whom formed the nucleus of its scientific personnel. The number of technical assistants reached 40 people. In order to accommodate the central premises of the Bureau, which had been limited before 1905 to the office of the Bureau’s Head, 5 adjacent apartments were rented in 1913 (with the right to rent the sixth one as well) in a new downtown house in St.Petersburg. Here the Bureau’s collection was concentrated (about 13,000 accessions, plus 12,000 herbarium specimens and the library of 15,000 books). When solving the working organisation problems of the Bureau Dr. Regel actively used the European and world experience. In 1909 he made a trip to Europe in order to get acquainted with botanical and agricultural institutions. He visited Berlin Botanical Gardens, Higher Horticultural School in Dahlem and Biological Institute in Germany, Botanical Gardens in Copenhagen and Stockholm, experimental sites of the Swedish Agricultural Academy and Svalof Experimental Station. With this, as it was put forward in the Bureau’s report, "to say nothing of the well-known noteworthy business style in Svalof, Regel was particularly interested in Assistant Mr. Nilsson Ehle’s works, which prove the general significance of the Mendel law that has been debated up to now, and by their manner, sense and profundity resemble the formulae of organic compounds". The importance of the experimental genetic method for breeding practice was by no means questioned by Regel himself. This is evidenced by publishing in the Supplement to The Works of the translations of G. Mendel’s Experiments on Plant Hybrids (1910) and E. Baur’s Einfu hrung in die experimentelle Vererbugslehre (1913) prepared by the Bureau’s staff, as well as reviews and synopses of cytogenetic and hybridisation research. Beginning from 1908, besides comparative botanical plantings, the Bureau was involved in plantings targeted to obtaining "pure lines", being ideal materials for studying the natural regular nature of inheritance of traits during hybridization and outstanding in their potential appropriateness for such practical purposes as recommending and reproducing pure lines belonging to the most interesting races for definite regions of the country. By 1914 more than 1000 "pure lines" of various crops had been brought to F4 and F5 generations. 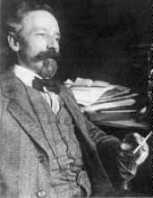 In 1916 the results of the Bureau’s first works on hybridisation were published (V. Satsypirov’s works on sunflower). The report on the practical significance of applied botany was presented by Regel in 1911 at the First All-Russian Congress of Agricultural Breeding Practitioners in Kharkov. This report was based on the review of the Bureau’s works which had made it possible to forecast the development of stable biological plant properties according to the complex of morphological characters strictly linked with them. This Regel’s presentation, more extensive version of which was published in The Works of the Bureau in 1912 under the title Breeding from the Scientific Viewpoint, may be regarded as the priority-setting programme in Russia for that period of time. In 1912, the Plant Breeding and Seed Production Congress in St.Petersburg officially recognised The Works as the central scientific journal dedicated to plant breeding. The same Congress expressed the wish that the Bureau should help to develop a unified nomenclature of botanical and plant breeding terms. The first step in this direction was publication of Petunnikov’s Latin-Russian-German Dictionary by The Works; the work was also started on preparing Russian-Latin, French-Russian and German-Russian dictionaries. By the twentieth anniversary of the Bureau in 1914, its staff had worked out original classifications of major cereal crops of the Russian Empire and described the specific and intraspecific composition of weedy plants. Comparative study of the most important commercial characters of crop races and varieties in biogeographic and evolutionary aspects urged further activities in the development of the theory of intraspecific diversity and species formation. By maintaining contacts with a great number of concerned scientific, schooling and experimental institutions and individual scientists, who used to publish their works in The Works (since 1917, Works on Applied Botany and Plant Breeding) the Bureau accumulated the world’s scientific experience in crop genetics and breeding. The Bureau’s activities were interrupted by the outburst of the First World War and the following revolution in Russia. Publications in The Works during that period were mostly the works sent from the province, synopses and bibliographic lists, as well as translations of foreign publications carried out by the Bureau’s staff. Among the latter were such monographic works as A. Diels Pflanzengeographie (1916); C. Fruwirth et al. Die Zuchtung der Landwirtschaftlichen Kulturoflanzen, vol.2, 3, 5 (1914, 1915, 1916); H. Nilson Plant Breeding in Sweden (1918). In 1918 The Works stopped being released. In 1917 - the year of crucial changes in the country - Regel nominated his new Deputy: a young lecturer at the Saratov Higher Women’s Courses, whose name was Nikolai Vavilov. Graduate of Moscow Agricultural Institute, Vavilov in the winter of 1910/1911 was passing practical training in his specialization of fungal diseases of cereal grasses with the Bureau of Applied Botany and the Bureau of Mycology and Plant Pathology under the Scientific Committee. He never stopped communicating with Regel in the years that followed, sending him the results of his genetic research carried out in Moscow (1913, 1917) for publication in The Works. In his reference Regel emphasised the young scientist’s comprehensive natural historical approach (from the viewpoint of taxonomy of plant forms, genetics, hybridisation science analysis and even linguistics) to the research, which was characteristic of the research style of the Bureau itself as well. In 1918-1920 the activities related to applied botany were concentrated at the Bureau’s Branch organised in Saratov, and Vavilov was appointed Head of this branch. Regel, who wasn’t among the adherents of the new political power, but believed that "science will be even on Mars", nevertheless took upon himself the painful task of financial support of this branch. It was mentioned in the report of the Scientific Committee that Saratov Branch of the Bureau was the only institution in the country where works were continued on the fullest scale during those years, and moreover it "managed to expand its scope to a series of new crops... and towards genetic analysis of cultivated plants". Nikolai Vavilov whose star, as one of his contemporaries remarked, was in the ascendant in Saratov, was destined to become the successor to the Bureau’s research traditions and the continuer of its works on applied botany. In 1920, being 53 years of age, Dr. R.E. Regel died from typhus at a small railway station on his way to one of the Bureau’s experimental sites. Bulletin des Bureau fur angewandte Botanik (Works of the Bureau of Applied Botany), vol. I- XII, 1908-1917, 1921. Correspondence of R.E. Regel. 1917-1920. VIR Archives, series 1-1, case 3. V.D. Esakov’s publication in: Nikolai Ivanovich Vavilov. Sketches, Memoires and Materials. Nauka Publishers, Moscow, 1987.